Hi! 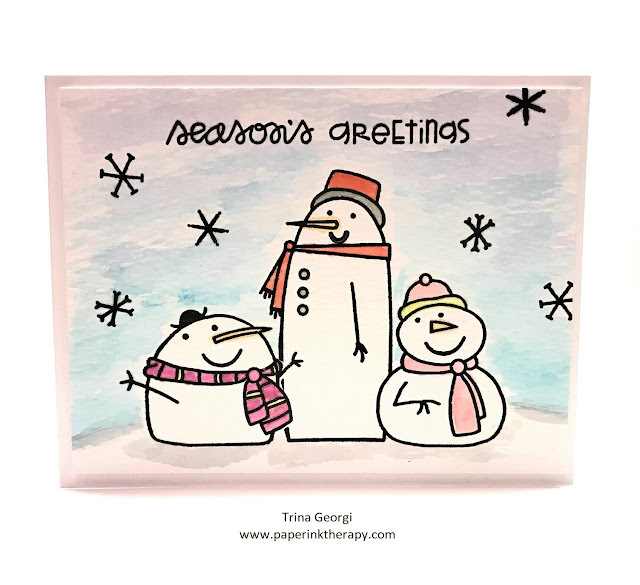 Today I'm sharing my homework from Day 5 of Online Card Classes - Merry Making. Day 5 was focused on Holiday Watercolor, and after several failed attempts (the vision in my head just didn't translate well on paper 😕), I ended up using Distress Oxide inks to watercolor with and practiced my masking skills with post-its...oh well, I'll keep working on the other technique - at least I'm having fun trying.